Dr Colin Murray Parkes is President of CRUSE and has worked in the area of dying and bereavement since 1959. Marilyn Relf is Bereavement Senior Manager at Sir Michael Sobell House, an NHS Hospice. Ann Couldrick is a counsellor at Sir Michael Sobell House Bereavement Service, UK. 4. Counselling for life-threatening illness. 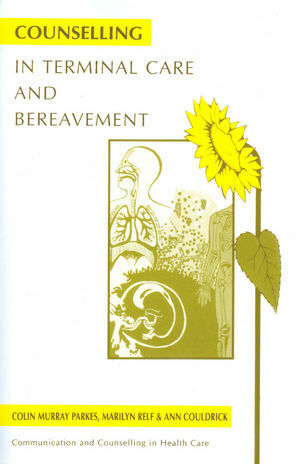 The book covers both caring for the terminally ill and the 'actual' bereavement, thus providing guidance on the whole process of counselling patients and their families. Case studies include examples from cancer, AIDS, suicide , murder and fatal accidents. Problems counsellors may face in their work are discussed and a chapter is devoted to the needs of the counsellor themselves.